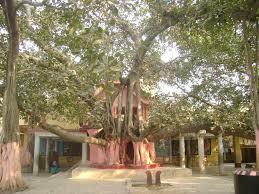 Here is some Informaton about Nandikeshwari Temple(Shakti Pith) in Nandpura West Bengal India. Nearest Air Port: DumDum, Kolkata. 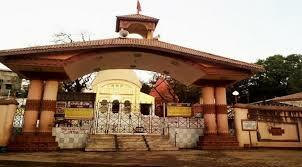 The Nandikeshwari Shakti Pith Temple is locaedet at Sainthia village Nandipura, in the Birbhum district of West Bengal.The temple was built in According to the Bengali calendar 1320.The temple is dedicated to Goddesh Nandikeshwari ,Durga.The main temple of this place is called Nandikeshwari Devi’s temple It is one of 51 Shakti Peetha (sati pitha) and it is where Sati's neck-bone fell. 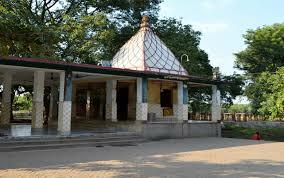 The temple is near to Railway Station under a banyan tree within a boundary wall.The idol in the temple is a black stone which is now almost Red as devotees use Sindur to pray the Holy Stone as Maa. Three eyes of Maa durga is marked on the stoneInside the temple premise there are many other temples of Dashabvataar, Lord Vishnu, Hanumanji, Ram-Sita, Nabadurga, Lord Shiva and some more. There are several temples within the boundary among which Shiva temple, Maha Saraswati temple, Maha Laxmi Ganesha temple, Vishnu Laxmi temple, Radha Govinda temple, Bhairav Nandikeshwari temple, Hanuman Bajrangbali temple deserves special mention. . 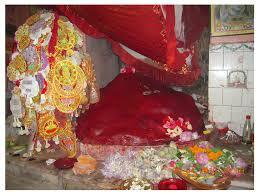 There is also an ancient old Banyan tree which is placed inside the temple area and devotees binds ropes with red color with a wish to Maa Durga in this holy place. The history says that Nandikeshwari Shakti Pith Temple is one of the historic place in west bengan india,where the divine power of the worshipped as a devi shakti "Nandini"by Hindu devotees.According to the hindu legends,it is whispered that devi sati's "Necklace' fell here and Goddesh is present in a huge rock in the shape of tortose.The main idol of this legendary divine place are devi as "Nandini" and Lord Shiva as "Nandikeshwar" located in the bank of Tista River worshipped here.The holy place is dedicated to Maa Durga and Lord Shiva. 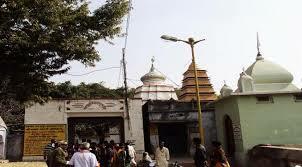 By Road : There are many public and private vehecles available to reach Nandikeshwari Shakti Pith Temple Nandipura . By Rail : The Nearest Railway station is Nandipura station. By Air : The Nearest Airport is DumDum, Kolkata Airport.